Output for the three months ending March 31 dropped 7% to 924,228 carats. 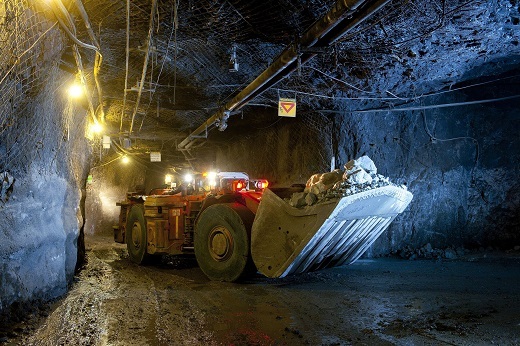 Production at Finsch plunged 30% to 387,370 carats, 55,000 carats below the miner’s expectation. The majority of the shortfall was due to equipment problems at the deposit in January, the miner noted. Lower-grade ore was also a factor. Production at Cullinan increased 22% to 432,001 carats, while Koffiefontein jumped 42% to 17,355 carats. Output at Petra’s Williamson asset climbed 21% to 87,503 carats. Revenue for the third quarter slipped 7% to $135.2 million from two tenders, while sales volume dropped 6% to 1.1 million carats. The average price at Cullinan rose 5% to $101 per carat, rebounding from $96 in the second quarter. Prices have averaged $140 per carat over the past nine and a half years. Production for the first nine months of the fiscal year grew 4% to 2.9 million carats, while revenue for the period rose 1% to $342.4 million. The company’s net debt decreased to $553.1 million as of March 31, compared to $559.3 on December 31. By the end of June, the company plans to sell a 425.1-carat, D-color, type II diamond that it recovered in March. Petra will hold two more tenders during the fiscal year, which ends June 30, it said. The company maintained its production forecast of 3.8 million to 4 million carats for the fiscal year, versus the 4.6 million carats it recovered in fiscal 2018.